This week, the key players in the politically motivated, well-funded campaign to attack the energy industry showed their hand once again. On Wednesday night, the City and County of Santa Cruz, California filed two lawsuits against 29 oil, gas, and coal companies, claiming they knew about climate change and somehow hid it from the public. The similarities between these new lawsuits and the five others filed by California cities earlier this year are plain to see and show how a core network of activists aimed at attacking oil and gas companies continues to abuse the legal system. The Daily Mail revealed last month that the San Francisco and Oakland lawsuits were pitched by #ExxonKnew activist Matt Pawa and paid for by billionaire environmentalist Tom Steyer. The firm representing Santa Cruz in these lawsuits is Sher Edling LLP, which has, alongside Matt Pawa and Hagens Berman, distinguished itself as a key player in the fight to bring frivolous litigation against energy manufacturers in America. Sher Edling LLP is also representing Imperial Beach, San Mateo County, and Marin County in their own lawsuits against some of the same plaintiffs. The arguments Santa Cruz is making against the companies named in the suit are the same as those made in the complaints filed by Imperial Beach et al. ; The Santa Cruz complaints even copy the language verbatim from the Imperial Beach complaints. What’s more, Sher Edling is relying on Resource Media to promote the Santa Cruz lawsuit. Resource Media is the “agency of record” for the Skoll Foundation, an activist philanthropist. Skoll also founded Participant Media, which produced former Vice President Al Gore’s “Inconvenient Truth” films. 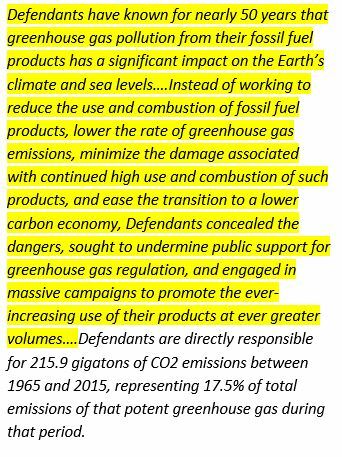 Fee-seeking attorneys like those at Sher Edling are stretching tort law to its outermost boundaries by claiming energy manufacturers constitute a public nuisance, even though judges have ruled that arguments based on this claim are matters for the legislative branch, not the courtroom. While Santa Cruz is seemingly following in the footsteps of its neighboring cities and counties, it goes a step further than the others. The other California communities only sought damages to mitigate the risk of rising sea levels. Santa Cruz is seeking reparation for natural disasters in addition to sea level rise, including big storms, wildfires and droughts. 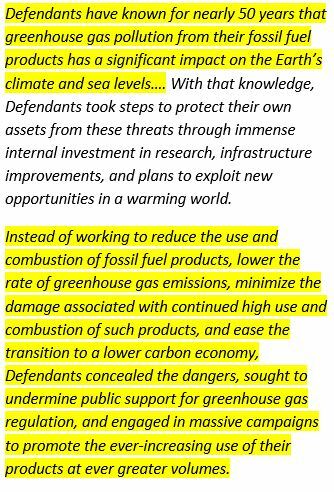 But every one of these cases ignores the fact that the public has known about the link between burning fossil fuels and climate change for decades and has continued to rely on oil and natural gas because of its unmatched cost, energy density, and reliability. Even Santa Cruz County Supervisor Zach Friend, who said “We believe enough is enough” when announcing the lawsuit, continues to rely on fossil fuels to get around. These new lawsuits from Santa Cruz are just the latest in a long line of hypocritical complaints against the energy industry.